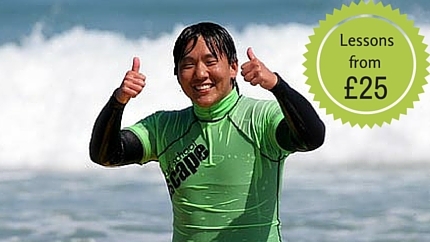 Escape Surf School offer a variety of lesson packages. From a one day taster lesson, to week long intensive courses, we've a course to suit your needs. Why not book a private lesson, for an intense fast-tracked session? With prices starting from £25 per lesson (for 6 lessons or more), for 2 hours with all equipment included, surf lessons with Escape offer unbeatable value for money! We teach all abilities, so you'll find a package to suit your needs. 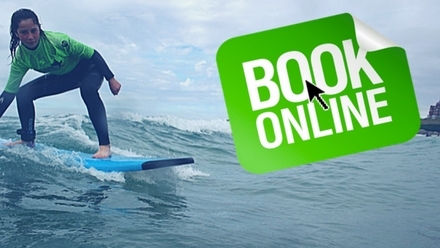 We make it easy for you to plan and book your surfing holiday. In a couple of easy steps, you can choose your course, dates and pay securely online. Book anywhere/anytime and recieve all of your details fast and in real time. Enjoy a stress free holiday in Newquay with ESS. 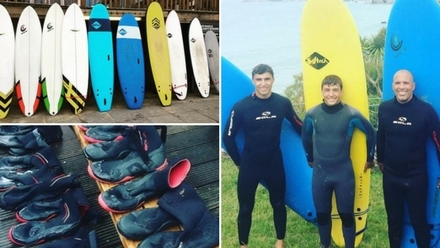 We are one of the only surf schools in Newquay to boast a professional surfer as Head Coach; Mike Young has been surfing for 35 years with 15 years professional experience on the World Tour. He has recently been crowned British & English Champion in his division!